Buy a flexible and portable Pop Up System that adapts to the space available. Call us today for custom requirements! Pop Up Systems are perfect budget solutions for creating modular exhibition stands. 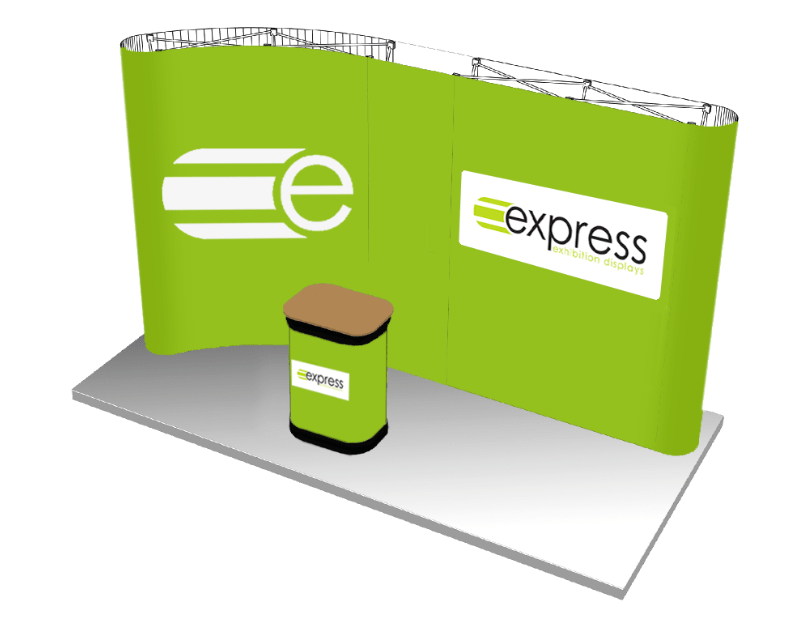 Ideal for use in events, conferences and exhibitions, these linked pop ups are flexible in shape to best fit the environment you’re working in. Linked Pop Up Systems are made up of dynamic pop up exhibition stands frames based on shape, and joined together with a regular graphic panel. There’s also the ability to split the linked pop ups back into their individual pop up sizes. This is perfect if you’re planning to attend multiple events with different stand spaces without having to purchase a new frame and set of graphics. Just purchase an additional graphic panel for the end of one frame and use the linking panel to finish the other frame. Wheeled carry cases are included for easy transportation – with one case wrap and counter top to convert one case into a fully branded counter to complement your pop up display. **Can be used as main or linking graphic panel. Open the case, take the lid off and remove the magnetic bars, frame and graphic panels. Expand the frame in one easy movement and link the locking arms. Hook the graphics over the ‘pips’ on the back of the frame. To join both frames, repeat step 4 ensuring the graphic panel attaches to each end of the two frames. Finally, hook the side panels so they wrap around front and back of the stand.